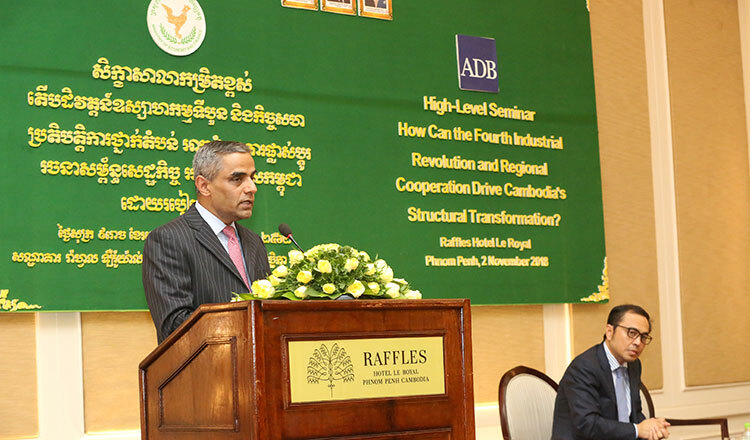 Speaking at a high-level seminar on 4IR and regional cooperation, Jayant Menon, ADB lead economist on trade and regional cooperation, said 4IR is transforming social, economic, and political systems in unpredictable ways. 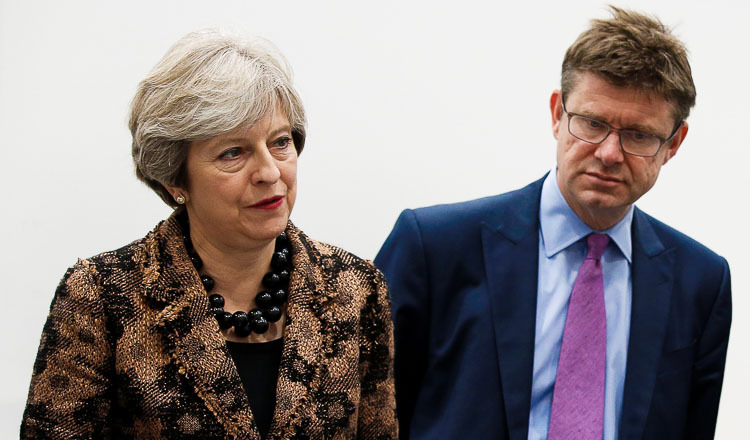 He said all aspects of society will be impacted, including jobs, business models, industrial structures, social interactions, and system of governance. However, Mr Menon also pointed out that 4IR creates the opportunity for developing nations to bypass traditional phases of industrial development, a process known as ‘technological leapfrogging’. “In countries like Cambodia, where skilled labour is in short supply, 4IR can help provide access to technology being developed in other countries. “New technologies have already brought well-documented improvements to productivity, profitability, and sustainability in agriculture, manufacturing, and services,” Mr Menon said. He said 4IR can be particularly useful in empowering micro, small and medium-sized enterprises (MSMEs), which make up the bulk of enterprise and employment in many Asian countries. He said digital technologies and online services can significantly lower the costs faced by enterprises, allowing them to participate in regional and global trade, thereby increasing the inclusiveness of growth. “With additive manufacturing processes such as 3D printing, many goods are now made at centralised locations operating at scale and producing standardised products, and in the future, long and complex supply chains will no longer be necessary as the entire products can be built from scratch without the assembly of different components,” Mr Menon said. He stressed that developed countries are better prepared to deal with the challenges brought by 4IR and are better equipped to take advantage of opportunities. Developing economies will need to prepare extensively to ensure they don’t fall behind, he added. He said Cambodia should invest in ICT infrastructure and technology to pave the way for technological innovation, while businesses need to accelerate efforts to implement digital, automated, and connected processes and services. “Reskilling workforces will require a transformation in education. Government must pursue education reform and promote lifelong learning,” he said. By contrast, Heng Sour, Secretary of State at the Ministry of Labour and Vocational Training, downplayed the scale of the challenge. Vongsey Vissoth, Secretary of State at the Ministry of Economy and Finance, said all Asean nations are now working together to make the most out of 4IR, including strengthening cooperation in the region. “Cambodia will prepare its workforce through education on digital systems, while encouraging innovation. “But to successfully adapt to 4IR, we also need soft and hard digital economy infrastructure. We need cheaper mobile broadband networks, we need to build the business skills of our people as well as our ICT infrastructure,” he said.